Irish America has become more distant from its cultural roots and there is a need to regenerate community and identity among the diaspora in the United States, according to a report by the UCD Clinton Institute. The study found that Irish America is at a stage of "late generation ethnicity" – an ethnic community in the US that has existed for generations but is no longer replenished by new emigrants. Study participants voiced concerns around a growing weakness in the relationship between Ireland and the U.S. and an increasing distance between the next generation of Irish Americans and their Irish heritage. UCD Professor of American Studies, Liam Kennedy and Dr Gemma McNulty, who co-authored the study, recommend that Ireland's official diaspora policies respond to meet the changing nature of Irish America and secure future relationships. They suggest that culture and education be at the centre of any strategic efforts to engage the next generation of the Irish diaspora in the United States "as they spur the activities of ethnic memory and identification". "There is an opportunity to devise a strategic overview and identify both immediate and longer-term opportunities, so that education may be placed at the forefront of efforts to nurture the next generation of the Irish diaspora in the US," the report states. The report, Irish Chicago: Late Generation Ethnicity and the Future of Irish America was commissioned by the Department of Foreign Affairs and Trade. Using the city of Chicago as a case study, the research investigated and documented the profiles and needs of "vulnerable" Irish emigrants in the U.S. It also reported on the wider picture of contemporary Irish Chicago. The findings will inform the Irish government's strategic objectives in engaging the diaspora – particularly through the Emigrant Support Programme (ESP). Census figures in the United States show there have been few new Irish emigrants to the U.S. in recent years. For example, the number of Irish-born American citizens in Chicago in 2010 was 153,000 compared to 250,000 in 1980. 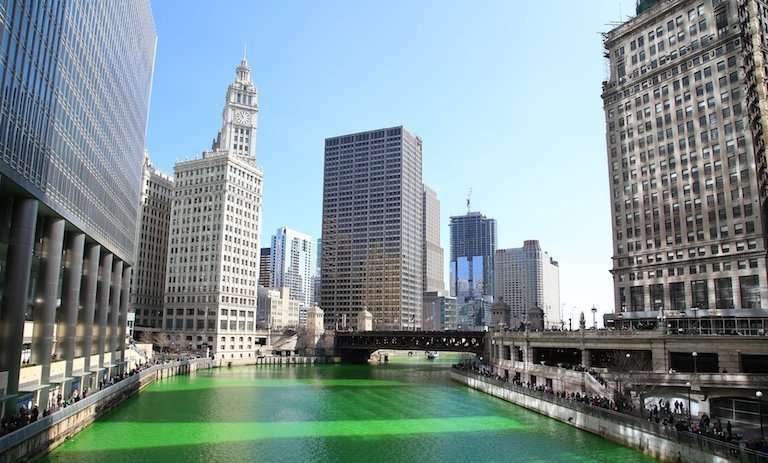 Recent Irish emigrants to Chicago are mostly young professionals who regard themselves more as temporary residents and tend "to have a different sense of identity to that of the settled Irish community". "All evidence points to the conclusion that there is an urgent requirement to regenerate Irish community and identity, not only for the health of Irish Chicago but also to reinvigorate ties between Ireland and Irish America," the report adds. Other key findings are that the undocumented Irish in Chicago are increasingly fearful about their status and futures, reluctant to trust and engage service providers, and uncertain about support within the Irish community. A majority of survey respondents viewed immigration reform as the greatest challenge facing the Irish in Chicago. "The issue was unquestionably heightened in the context of the Trump administration's initiatives on immigration. At the same, there was evidence that the settled Irish community have limited empathy for the undocumented or for immigration reform in their favour." The research includes primary data gathering through an online survey and in-depth interviews with a wide range of individuals and focus groups, representing diverse sectors of Irish presence in Chicago. English-Americans are just known as "Americans". Everyone else is hyphenated.